We are a creative culture, learning & development lab. Our facilitated engagements inspire participants to break through their social and creative walls. Whether working with corporate executives, social entrepreneurs, or students, the response has been consistent: increased creative confidence, social and emotional intelligence, and a willingness to rethink routine. LATE NITE ART’s proven process has rekindled imaginations across four continents, and translated into a cross-cultural success. 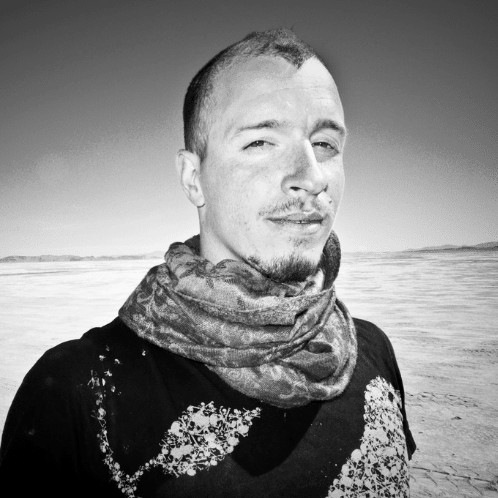 Adam Rosendahl, CEO & Founder - Adam is a creative facilitator, event producer, and DJ based in Oakland, CA. In 2012 he founded LATE NITE ART, LLC. Since then, he’s been on a creative rampage: leading over 100+ LNA events in 6 countries, with over 5,000 participants. From federal probation officers and corporate executives to social entrepreneurs and university students, Adam has a knack for lighting the creative spark in people. He specializes in using the arts to positively shift corporate culture, enhance leadership capacity, and make learning more fun. He firmly believes that engaging the imagination is the key to changing our culture. 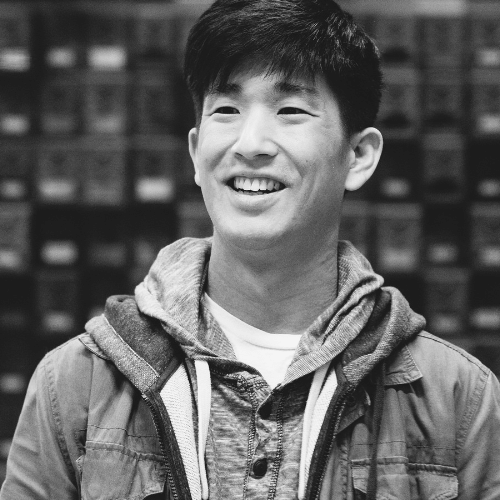 Jeffrey Shiau, Director of Growth & Operations - Jeffrey creates foundations for LATE NITE ART to build & grow. He enjoys things that create empathy; between people, communities, and the planet. Outside of LATE NITE ART, Jeffrey also fills his space and time with projects like www.talkhumanto.me. Forest Stearns is a prolific visual artist, educator, and facilitator. He joined the LATE NITE ART team as a lead facilitator in 2016. From art galleries to spaceships, there is nothing Forest won’t draw upon. As an "Illustrator for Space" at Planet Labs, a SF Aerospace Company, Forest has illustrated over 150 of Earth's orbiting satellites. Yep. Satellites. He also directs Planet Lab's exciting Artist in Residence program. Known as DRAWEVERYWHERE, his portfolio spans from stylized calligraphy and huge murals to virtual reality and industrial design. Previously, Forest served as the Art Director for DeviantArt, the largest online art gallery and community in the world. Forest draws inspiration from granting "creative permission," to everyone he meets - encouraging business executives, children, artists, and people everywhere to "let go of their fears and pick up the pen." Zakiya Harris is a Cultural Architect, Artist and Educator working at the intersections of entrepreneurship, 21st century education and creative transformation. She joined the LATE NITE ART team as a facilitator in 2018. Zakiya is a co-founder of nationally recognized projects Impact Hub Oakland, Grind for the Green and a Fellow of Green For All and Bold Food. Currently, she is the Chief Innovation Officer at Hack the Hood a technology program for low-income youth of color. Recently, Zakiya published her first book Sh8peshift Your Life: The Creative Entrepreneurs Guide to Self Love, Self Mastery and Fearless Self Expression. When she is "off the clock" you can find her singing her heart out onstage, reading Octavia Butler or cooking with her 12 year old daughter. Brady Gill started his professional career as a summer camp counselor where building playful community was the name of the game. He joined the LATE NITE ART team as a facilitator in 2018. Since that first summer, Brady never looked back, continuing his life's work of helping people connect with themselves, their communities and the world around them. Brady's work began with children, directing summer camps, after school programs and even working as a recess consultant touring the country teaching schools how to have physically and emotionally safe playgrounds. One of the co-creators of Camp Grounded, the first ever summer camp for adults, Brady has spent the last several years creating programming that combines the playfulness of childhood with the growing complexity of how to be a happy and fulfilled adult. This movement of connection is essential in our modern times, where digital communication is quickly replacing human contact and our lives are more and more defined by what we do, rather than who we are. From creating parties and events, to leading professional development for Fortune 500 companies, tech start ups and educational institutions, Brady is doing everything he can to make the world a more playful and connected place. Jenny Sauer-Klein is an experience designer and master facilitator who specializes in dynamic learning experiences that help companies engage their employees and bring their culture to life. She joined the LATE NITE ART team as a lead facilitator in 2014. She has designed and facilitated offsites and programs for companies like Airbnb, ESPN, Toyota and Samasource, as well as running her signature Experience Design Training for internal teams. She is also the founder and director of The Culture Conference, an invite-only event for 175 business leaders who are committed to building a positive culture in their own organizations. In her previous career as the co-founder of AcroYoga, she successfully scaled a thriving culture into an international brand, community and organization with millions of practitioners including Hollywood celebrities and Silicon Valley entrepreneurs. She has been featured in The New York Times, Forbes, Fast Company, and Inc., as well as Tim Ferriss’ new book Tools of Titans. build an array of leadership skills in youth and adults. From start-ups and corporate teams, to youth from marginalized communities and teachers, Nilisha worked with groups across cultures and geography. Celi Tamayo-Lee is here to make collective joy. She joined the LATE NITE ART team as a producer in 2015. As the descendant of migrants, history is always present for her. As a young queer person of color, the future is always present for her. She uses film to travel through time; gatherings to stop time; and dance to rearrange time. As someone still in love with San Francisco, her work is dedicated to the public, cultural lineage, human need and communal consciousness. 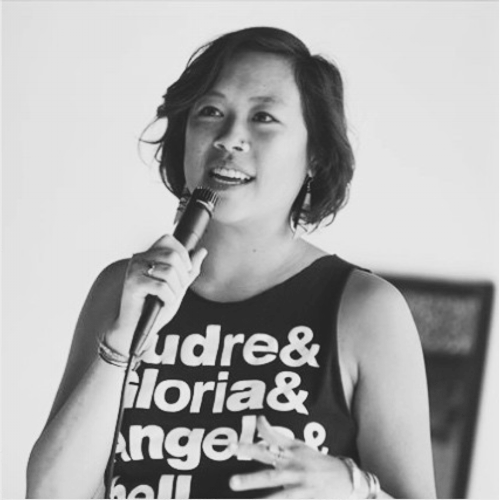 Celi’s parents met while organizing in the Bay Area Asian American community during the ‘80s. Her grandparents and great-grandparents came to the West Coast from Laoag, Illocos Norte, in the Philippines and Toisan, Guangduong Province, China. The playgrounds of her public schools, the youth mentors of her afterschool programs, and radical movements for art and justice shape her sense of power and dignity. Khamall Zawadi is a community organizer and event producer from Columbus, Ohio. Khamall joined the LATE NITE ART team as a producer in 2015. He is also the founder of BlackBuster, a film and media company dedicated to enlivening the black imagination. Khamall is an agent of change who uses creativity to bring people of all kinds together around art and activism in their community. Why do we do what we do? Learn about that below.